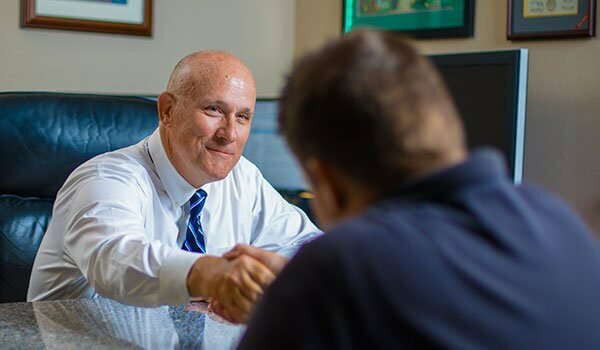 Since 1987, Steven Day has practiced law in Las Vegas and has successfully represented people from throughout the United States, Canada, Asia, and Europe that have been injured in Nevada. Steve is married to Jan Day, and together they have 10 children and 30 grandchildren. Steven is originally from Twin Falls, Idaho. He attended Brigham Young University and the University of Utah, ultimately graduating from the University of Utah with degrees in marketing and finance. Steven also obtained an MBA before embarking on a career in the securities industry and banking. Steven returned to school, attending the University of Utah’s S.J. Quinney College of Law. He graduated in 1988 with juris doctorate degree. Since graduating from law school, Steven has worked as a civil litigator, primarily in the personal injury forum. He has handled literally thousands of civil cases filed in the Nevada Eighth Judicial District in Clark County (Las Vegas), Nevada, and across the country. Steve has always felt that it is important to give back to the community. He is a former president of the Green Valley Little League and has coached Little League for over 40 years. Steve spends much of his free time involved in many charitable endeavors. In addition to his civil practice, Steven has been a frequent lecturer with the Nevada State Bar, National Business Institute, Western Utilities Association, and the University of Nevada-Las Vegas School of Law. Steven has taught advanced finance to graduate students at the University of Phoenix and small business management at LDS Business College. Steven Is a member of the Nevada State Bar, Clark County Bar Association, American Board of Trial Advocates, Nevada Justice Association, the United States District Court, and United States Supreme Court bar. Steven has the highest rating of AV (preeminent) with Martindale-Hubbell. Steven is an arbitrator for the Nevada State Bar and serves on the Nevada State Bar Judicial Ethics Committee.